The Resistance, or The Land of Magic? Rumors have spread of a Magical Girl with the ability to cancel death. 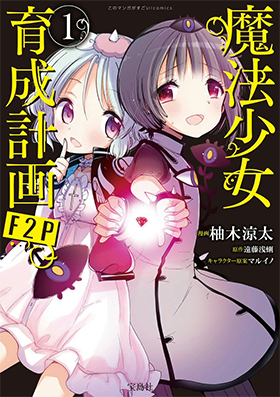 To confirm these rumors, the Land of Magic sends two Magical Girls to investigate. What they found instead was a large dome-like barrier. Inside were a group of Magical Girls, calling themselves The Resistance. They claim to fight against what they believe is the corrupted regime of the Land of Magic. As the Land of Magic loses contact with their two agents, tensions escalate as both sides are locked in a clash within F-City. Experience both sides of the story in this Magical Girl vs. Magical Girl conflict. An spin off showing the current situation of the Land of Magic from Magical Girl Raising Project. Last edited by Kuroageha; 2016-12-14 at 11:34.